Nowadays, there are more and more international students who come to the United States to further their education. As international students come to the US a very common experience many go through is culture shock. This time, Life Made Simple meets Dr. Elaine Yuan, who is a multicultural communications professor at the University of Illinois at Chicago. Dr. Yuan is a native of Beijing, China and she has been in the US for nearly ten years. We here at LMS, credit Dr. Yuan as having the right kind of experience to give proper advice to international students who may be in the midst of a transition to a new culture. As Dr. Yuan is a professional in multicultural communication, LMS hopes that her own experience and advise could help international students start a simple and comfortable life here in the US. LMS: Having been in the U.S. for nearly ten years, what do you think is the most difficult thing for an international student living in a new environment? YUAN: The most difficult thing, for me, is to get used to the American culture. Culture is a big all-encompassing term. To be more specific, it means to know the local language well in order to express oneself freely, to know th e local social psychology and etiquettes well in order to make friends, build social support and feel comfortable in this foreign social environment. LMS: What do you think is the easiest way to overcome that difficulty? YUAN: The easiest way to overcome the difficulty is to learn about cultures. Learning about cultures takes place on two levels. One, learn specific cultural facts in the hosting country such as the local language, social customs, the political system and values etc. Two, understand difficulties are usually caused by differences between what one is used to and what the foreign culture prescribes. Once, you achieve this kind of understanding. Things may get a bit easier. But just a little bit. 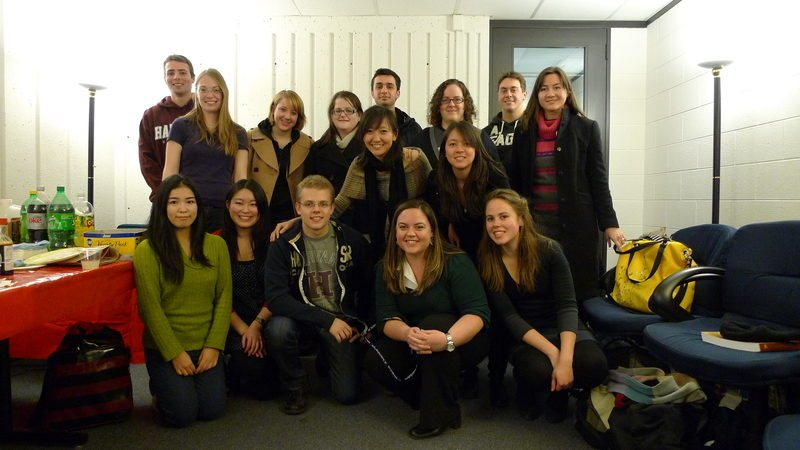 LMS: Are there any helpful tips you can offer to maybe help international students live a better here in the U.S.? YUAN: I’m looking for such tips myself. But there is one thing that may count as a helpful tip: reach out. Reach out for people and make active efforts to make friends. I think it’s particularly important for Chinese students who tend to be shy and passive in social interactions. Sometimes a positive attitude goes a long way. LMS: Have you found others from your home country that you socialize with or have developed a close circle/community with? YUAN: Yes, definitely. I have very close Chinese friends. It’s always easier to find friendship among people from the same culture. But I also have good American friends. It’s unfortunate not to make efforts to make friends in the hosting culture just because it is difficult to do so. Again, you need to try. Ask some American classmates to go to movies or join them for parties. LMS: Do you think that there are communication barriers to overcome for international students living in the U.S.? YUAN: Yes, definitely. You can say all the difficulties caused by cultural differences are problems in communication. Differences among people with different languages and customs make communication among them difficult. But I think the most effective solution to communication problems is communication itself. So go out to make friends and start communicating. LMS: How can communication be improved between Americans and international students who may find it difficult to communicate while here? YUAN: There are two things to do. One, make efforts to learn about other cultures. Understand and respect cultural differences. Two, reach out for people from the foreign culture. Make friends and talk to them. LMS: Personally, I miss home a lot and I am going through the culture shock period. Could you give some suggestions that could help cope with being so far away from home for an international student like myself? YUAN: Call home. Find some friends from your home country to share your shocks and grievances. Find some American friends to have some fun. Write a blog. But it won’t be easy to go away. All you can do is to face it. For those of you experiencing similar transitions as an international student or simply a new immigrant to a foreign country, we hope that the advise Dr. Yuan provided us with can guide you in adapting to a new life in simpler ways. In the end as Dr. Yuan suggests, we just have to face reality and adapt to a new culture with optimism. One of Life Made Simple’s main goals is achieving well-being through simplicity. What better way than to talk about how food may affect our well-being. Evie Pesheva from LMS sat down with Elena Mitova, a certified nutritionist, to discuss basic ideas about good and bad nutrition. Take a look! The current obesity epidemic in the U.S. has brought about a surge in the promotion of healthier eating. Many fast food restaurants have included healthier options on their menus, schools have provided healthier lunch options for students and more and more health food stores are popping up around the country. 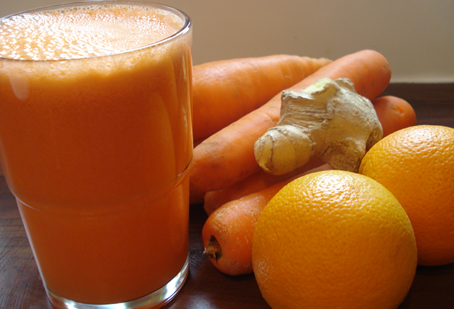 Some people are taking a further step to a healthier and nutritious lifestyle by juicing. No one knows juicing better than Mama Asantewa whose diet and nutritious lifestyle includes mostly juicing foods. LMS turns to the juice “queen” to find out what foods are best to juice, which ones are most nutritious and about opening her first fresh juice bar in the near future. LMS: When did your affinity for juicing start? MA: Well, I come from a family where everything that was ever eaten was cooked. Of course we found out the hard way that this was not the best way to eat when my mum developed chronic “type 2” diabetes. Her doctor had to put her on a very strict diet composed strictly of fruits, vegetables and low-to-no sugar foods as well as cutting out refined foods and foods with a lot of preservatives. So my mum having little time to always eat many different types of vegetables and fruits, found it easier to just juice or blend them. LMS: What is considered “Juicing”? MA: I’m glad you asked that because some people confuse juicing with blending and mixing juice. 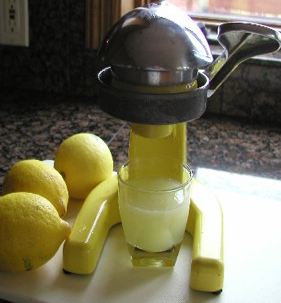 Juicing is the process of extracting and separating the peel from a fruit or vegetable. You can do this by squeezing the actual fruit or vegetable, or by using a juicer. Just throwing fruit and/or vegetables in a blender is not juicing but can still give you great nutritious benefits. With juicing though – because the juice is separated from the skin, you do tend to loose the fiber from the fruit or vegetable as in the case with apples. LMS: What are the benefits to juicing? MA: Juicing allows you to absorb all the nutrients and consume an optimal amount of vegetables and fruits in an efficient manner. 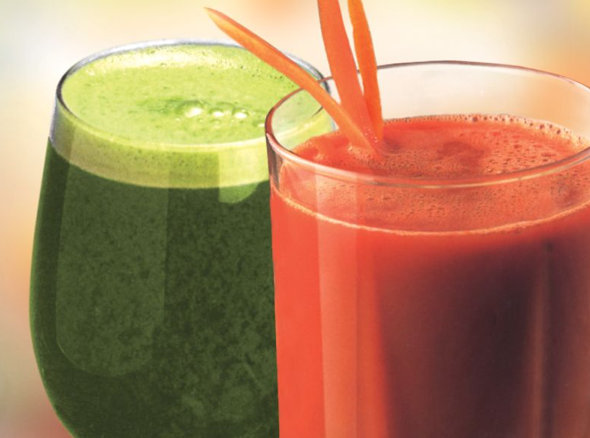 You can also add more of a variety of fruits and veggies in your diet with juicing. This is one of the main reasons why my mum started juicing. The daily recommendations for fruits and vegetables is at least five servings a day, so as long as you get this you are getting adequate nutrition. But juicing is a great way to easily accomplish getting your nutrients with a quick glass of juice. LMS: Which juice combinations would you recommend and are there any combinations that should be avoided? MA: There are some that I personally that I like to juice as a daily juice blend – like carrot, orange and lemon juice with a touch of cayenne pepper (wakes me up), but there can be many good juice combinations depending on a person’s nutritional needs, lifestyle, time of year (what’s in season) and personal taste. For someone who lives in a cold climate may benefit from garlic, ginger or basil based juices as these are warming vegetables. For someone who may have have a cold, getting some fresh vitamin C from a fresh squeezed or pressed orange may be beneficial. But you want to avoid combining vegetables with fruits as they require different enzymes for digestion. Apples are the exception because they tend to be neutral. You want to be a vegetarian moreso than a fruitarian when juicing and/or eating fruits and veggies because fruits are higher in sugar than vegetables. Like with everything in life there needs to be a balance so try to get a variety of both without excessively juicing. LMS: You are in the process of opening your first juice bar, tell us how this came about. 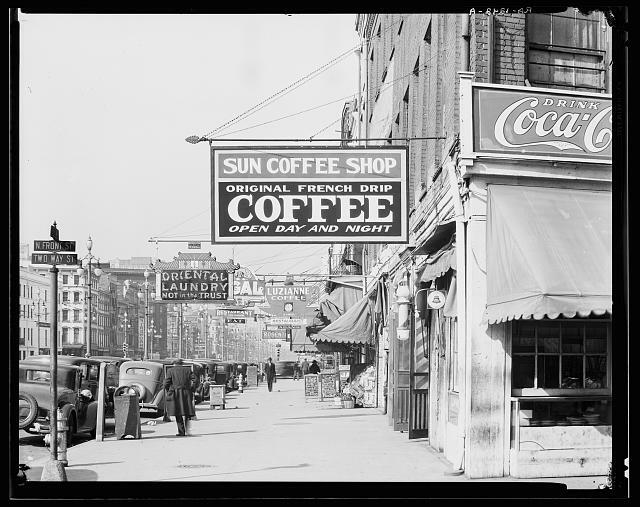 MA: I feel that there are not enough places that offer fresh squeezed juice in the city (Chicago). I want to provide a place where people can get a healthy drink on the go and provide a healthier more convenient option towards a nutritious lifestyle. I am looking at locations now for it, but I do know I want it to be centrally located in the city and if it does well, maybe branch out to other cities. LMS: So what juice combinations can we expect to see on the menu? Well I haven’t decided on all of them yet but some will be based on the season – for winter months I’ll have more warming based fruit and vegetable drinks like fresh squeezed carrot and orange juice blends, and for summer maybe some fresh berry and tomato juice blends. I will also have wheat grass which has many health benefits. LMS: For our readers, what will be the name of your juice bar and when do you project it opening? MA: Currently I have a few names for the juice bar (not patented yet so can’t list) but it would definitely have something to do with the word “juice”, lol. I plan on opening it around springtime of 2011, but I’ll keep you posted! In the technological world we live in today, its hard for one to imagine functioning without technology. I decided to investigate how some people who were not raised in the present media era lived simply back in the day and how perhaps they view technology today. I had the opportunity of spending some face-to-face time with 80 year old Ferrell Daste who didn’t grow up with the technology we have nowadays. Ferrell discussed what it was like growing up as a kid in the 1930s-1940s and how life was much simpler when he was growing up. 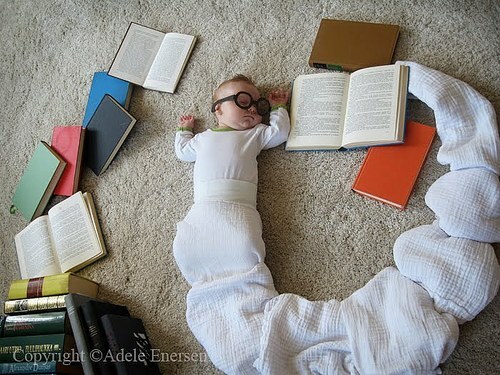 Do you think life was simpler when you were young? Why or why not? Yes, because although we never had too much, we were closer together than people are now and we all grew up closer together. We didn’t have television or other modern day things that took us away from one another. At that time, everyone would have a lot of kids so all of the neighborhoods had a lot of kids, ours had around 30. And although there was so many of us, you were able to intermingle more with everyone. I think a lot of technological things take away from that. So what did you do for fun? Well back then, movies were only 7 cents and our only form of entertainment. The only games we had, were the ones we put together ourselves. I remember there was only one basketball in the whole neighborhood and the only time we played football was in vacant lots [laughs]. We made due with whatever we had and enjoyed it so if you got something new it was like a Christmas present. You talked about putting games together yourself, can you explain some of the games you made? Do you use any technology now? I use the computer, but only to send messages to family and for news. What things do you think people could live without that you didn’t have growing up? Because I think that there are so many other ways to get around and people only use it for convenience and to get where they are going quicker. If you had a choice, would you have been born with the new generations or when you were? Why? 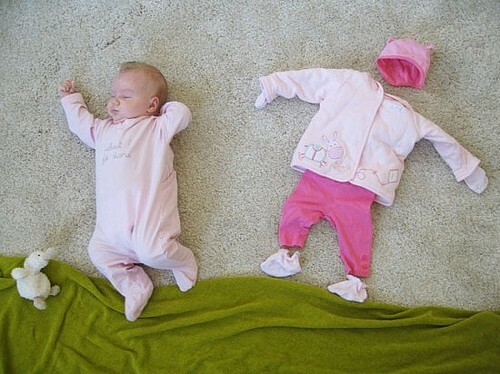 I’d be born when I was, because it was simple. We didn’t even feel the need to go out of the neighborhood to meet people in our lives. Communication, that is the biggest change. Most people talk mostly through texting now, it’s so impersonal and it’s sad. Life Made Simple not only supports simple living, but also well-being. Active Trans follows our motto “Live simply, Live happily” quite accuratelly. They not only strive to make transportation simple, promote health and an eco-friendly environment as well. I found out about this organization last year when the former Director of Communications for Active Trans, Margo O’Hara, was a guest speaker for my Environmental Communications class. 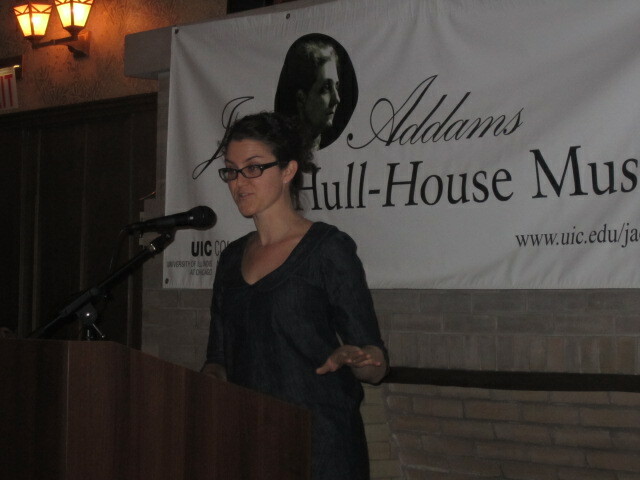 She spoke about the work that Active Trans does and how beneficial it is to the community, especially to Chicago. Commuting to work in Chicago can be a big hassle and this may add to the fact that it has become one of the most stressful cities in the United States. By working on making transportation easier and safer, Active Trans is not only creating a better commute, but contributing to the well-being of those living in the city. 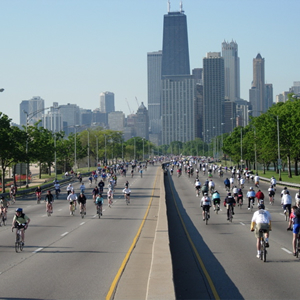 Active Trans holds many events that the community can participate in to support their work and meet others who value a healthy transportation: Bike the Drive, Bike to Work Week, Boulevard Lakefront Tour, and Chicagoland Car-free Day, just to name a few. 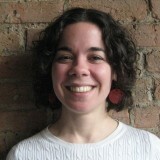 “My favorite event was Bike to Work Week. That week in June we get to know the everyday bicycle commuter. It can be surprisingly hard to meet those folks, so it was always fun to meet more people that “get it” and are out there doing the work we advocate for.” Says Margo. Life Made Simple encourages you to try out a simpler way to travel. Instead of going through the annoyance and stress of morning traffic, try biking. If your job is too far to bike to, try biking to the nearest train station. Not only can you beat the traffic, but you can relax, enjoy your surroundings and use it as a means of exercise. Active Trans also offers jobs and internships. If you would like to get involved or just find out more information, you can visit activetrans.org. Life Made Simple is about the simpler things in life and the wonderful feelings and well-being that simplicity can bring. This week we visited a soup kitchen where people come together, not only to eat free organic soup, but to have conversation about current social, cultural, economic, and environmental issues. 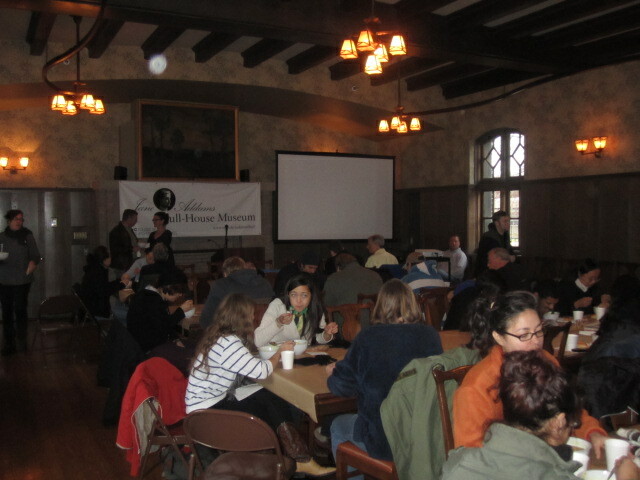 This soup kitchen is held at the University of Illinois at Chicago every Tuesday from 12:00pm to 1:00pm. Re-Thinking Soup is an organization that focuses on locally grown, simple ingredients for delicious soups, while educating their guests about important current issues. The first time I visited this soup kitchen was two weeks ago. I walked in through a door posted with a white sign displaying the words “Re-Thinking Soup” in bold black letters. I entered a room filled with four long tables where people were eating soup from white bowls. On the right, two volunteers stood behind two large metal pots placed on a table and were serving a line of waiting people. On the opposite side of the room, there was a woman behind a podium who was explaining that the soup served at this kitchen is made with all organic, fresh, and locally grown produce. The next speaker that day was a woman named Jeannette Beranger, a representative for the American Livestock Breeds Conservancy, which is a clearing-house company for information on livestock and genetic diversity. Mrs. Beranger was present at the soup kitchen via a Skype conference call and she spoke on a current environmental issue. After the first wonderful experience I had at Re-Thinking Soup, I knew I had to return and experience it again. I not only wanted to have the same experience, but I wanted to learn more about this organization and those involved. 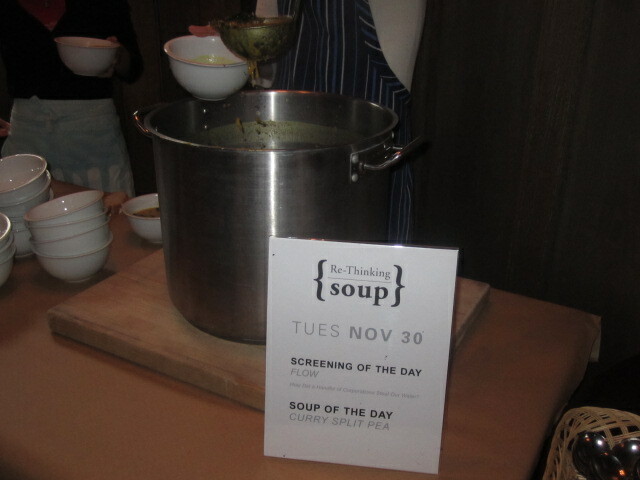 I returned on a Tuesday when curry spice pea soup was being served. This soup was made from mashed peas, water, garlic, ginger, and curry. Flavors of garlic and ginger gave the soup a delicious hot spice that warmed my body up instantly. The curry gave the soup a beautiful deep orange that made me feel warm. To contrast this deep orange, the chef threw in what looked like kale green leaves. 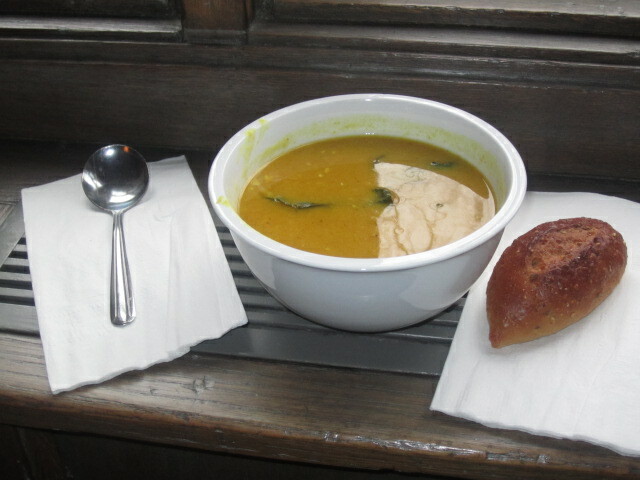 Each bowl of soup is served with bread which is provided by Nicole Bergere, who owns a shop called Nicole’s Divine Crackers in Chicago. Bergere grinds the grains, uses all natural ingredients and no preservatives for her baked creations. During this visit to the soup kitchen, I was able to talk to some of those behind Re-Thinking Soup and those who simply enjoy coming on Tuesdays. Jonathan is a man who has been going to this soup kitchen every Tuesday since 2008. He says that he enjoys not only coming here because of the free soup, but also because it is an enlightening social gathering. 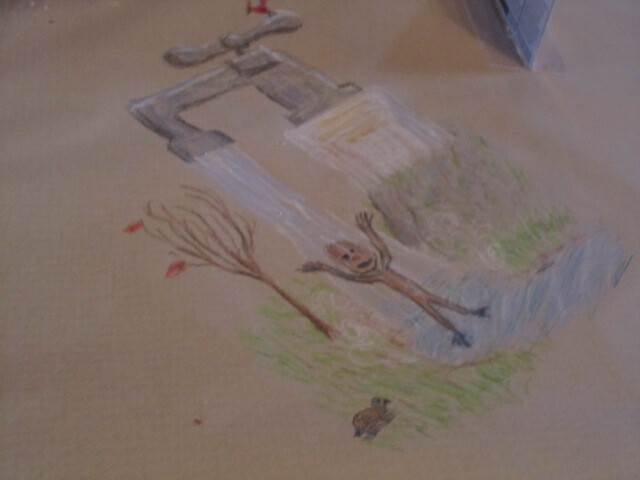 He later admitted that he also liked coloring with the crayons on the table. When I re-visited the soup kitchen the following Tuesday, a documentary titled “Flow” was showcased. Every week there is focus on current issues. This film was based on a current environmental issue about water deprivation in other countries across the world. Tera explained to me that those who run the soup kitchen follow the belief of “eating as an agricultural act.” This means every bite you take; you are taking a stance on something. At Re-Thinking Soup, people can come together and work towards being conscious of what they are taking a stance on and allowing into their bodies. When people come to this soup kitchen, they don’t only come to eat the soup. They come for the learning experience and desire to know where their food comes from. Most importantly, they come to take a stance! LMS encourages you to take time off your “busy” schedules and enjoy something simple like this soup kitchen that doesn’t cost you anything and the rewards are “enlightening,” as Jonathan said! Re-Thinking Soup is open to the public every Tuesday at 12:00pm to 1:00pm.